360 Could Solutions recently merged with Lohmuller to provide strategic business technology and functional expertise to help business agility. This cloud-based company continues to grow rapidly and expand it’s customer and product offerings. They needed a website that can easily display information to a variety of targets, integrate Hubspot, reference Dropbox files, utilize Okta, have exceptional tracking analytics, house a large amount of interactive white papers and display professionally produced video case studies and testimonials. 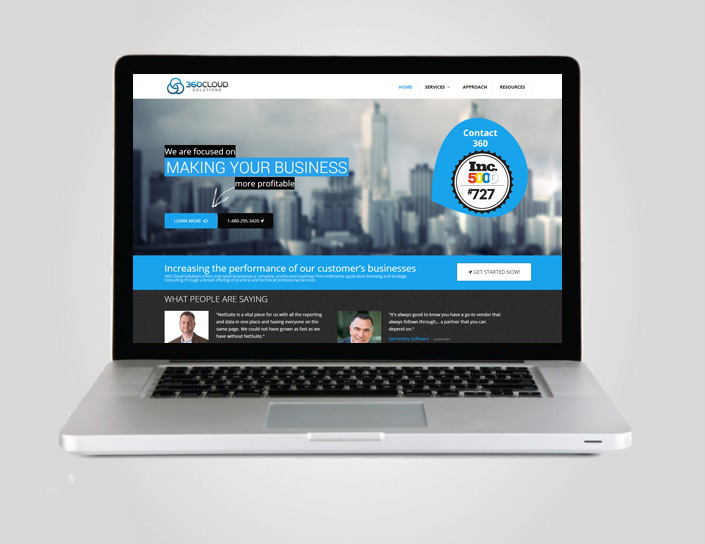 360 Cloud Solutions now has a website that has attracted over 1,700 times the amount of traffic of their old site. Hubspot has been successfully integrated for content creation and they are able ti utilize videos for client case studies and testimonials. With the necessary functionality and new design, this client it snow able to use their website as the hub of their digital marketing efforts.